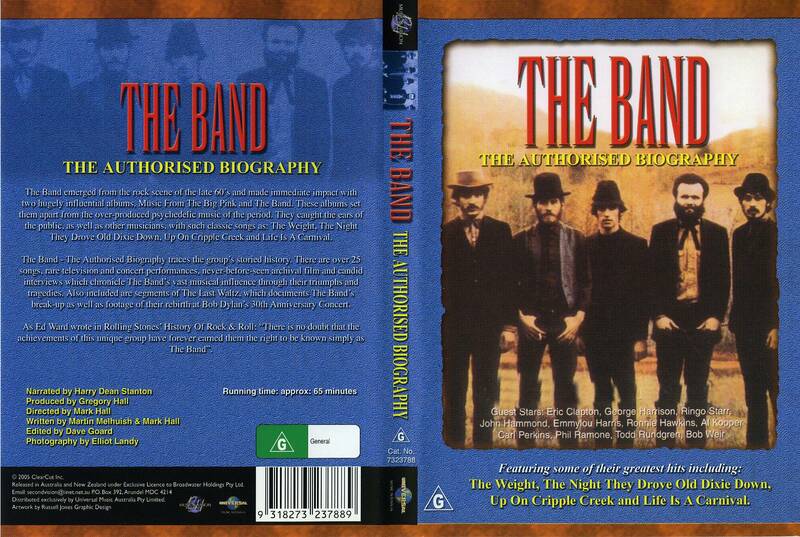 Excellent 1995 The Band biography, re-released on DVD in the US and Canada in November 2001. 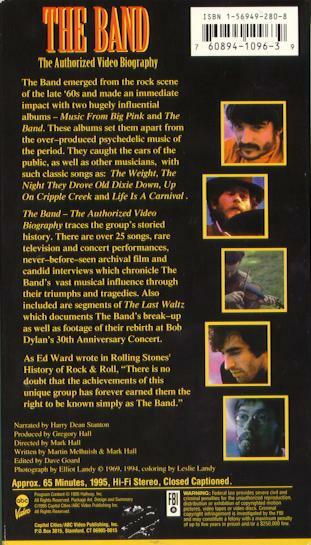 This film does a thorough job of documenting the super group behind such '60s and '70s classics as 'The Weight' and 'Up on Cripple Creek'. 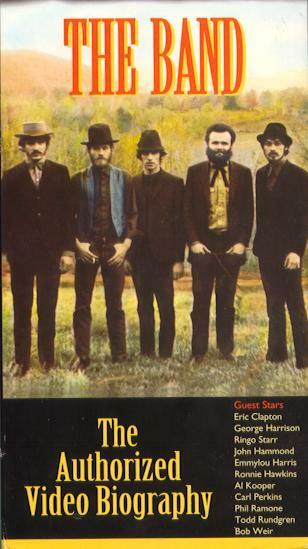 The three remaining original band members - Levon Helm, Garth Hudson, and Rick Danko - don't flinch from painful subjects like the breakup of the group in 1976 and their less-than-successful attempt to resuscitate it in the '80s. Such rock legends as Eric Clapton, George Harrison and Bob Weir provide their own perspectives. The release comes during the Band's 1995-96 tour and will be promoted with a syndicated radio special and a week long giveaway promotion on over 100 rock radio stations during the weeks of Nov 20, and Nov. 27 respectively. Another review of the Authorized Biography video appeared on Usenet, in March '96. 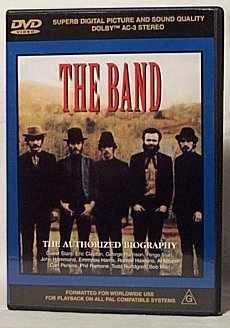 The biography video is featuring Rick Danko, Garth Hudson, Robbie Robertson, Levon Helm, and Richard Manuel. Interviews with Eric Clapton, John Hammond, Emmylou Harris, George Harrison, Al Kooper, Carl Perkins, Phil Ramone, Todd Rundgren, Ringo Starr, and Bob Weir. It tells the story of their rise from back-up band for Ronnie Hawkins and Bob Dylan to their meteoric shot to the top of the charts, to The Last Waltz and the inevitable reunion tour. Their story is chronicled in music from the '60s, '70s, '80s, and '90s. 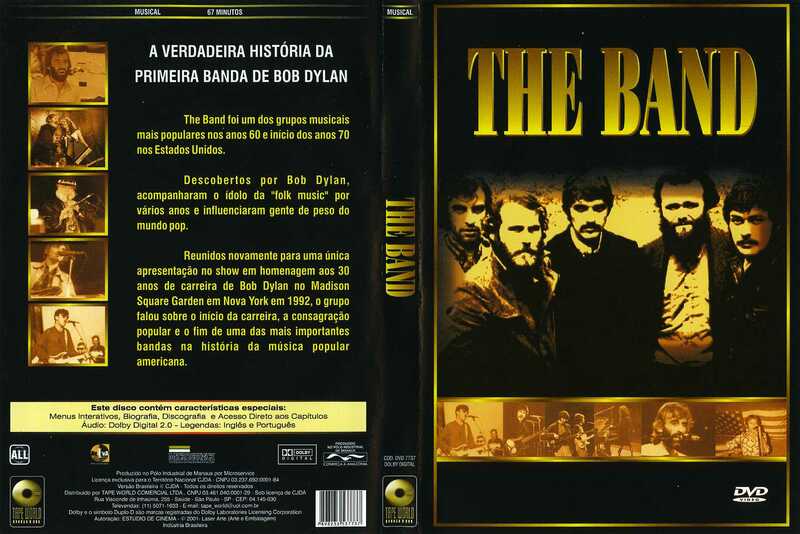 The Authorized Biography was released on DVD in Australia in 2000. Released by Capital Cities/ABC Video Publishing. Also listed as Image LR-3364.